As we all know that Appium is the most preferred test automation tool for mobile applications. It is the first choice of the testers because of its flexibility i.e. it is open source, it has the best supported and highly active community of experts, Appium works across different platforms and works well with different scripting languages. 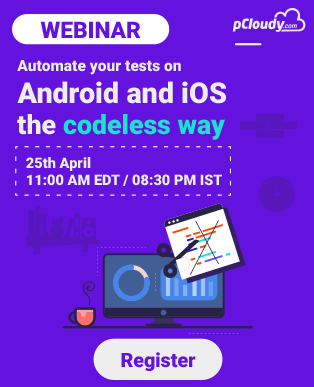 Even after gaining such a popularity and having a strong community base, surprisingly,the users still make mistakes while running the mobile test automation with Appium. Over usage of X Path could be found in case of Selenium as well but when it comes to Appium world, it has more outrageous effects because X Path is a more dynamic way to unearth the elements. But the biggest stumbling block in this scenario is its huge performance cost due to which it becomes elusive an area. This is because Google and Apple do not provide XML or XPath related queries in a way we would need them to be. All of this hospitalizes an unmanageable cost finding elements using X Path. Undoubtedly, X Path is the most trusted method but there are several other better locator methods like ‘Accessibility IDs’ that can be used in this sitch. The accessibility ID locator strategy is formulated to read a unique identifier for a UI element. For both iOS and Android, getting an element by their accessibility ID is the best method. Most importantly, it is preferable because it is quicker. It should be noted that semantically accessible IDs are different than the Web IDs. However, the two shouldn’t be combined. In many cases, the accessibility IDs are used only for the purpose of testing even though they have a larger purpose. So, in order not to spoil the accessibility of the applications just for the sake of testing, the bigger purpose of the accessibility IDs should be known. If the accessible IDs are set up on the elements to make the apps testable, the app accessibility also increases, provided that the accessibility labels are sensible to the users using them. But the foremost criteria not to make automation efforts a failure is to make the application testable in the first place. Developing an app should be a forecasted move where in the developers, even before writing the first line of code, plan to develop an app keeping the automation in mind. This they can achieve by keeping in mind the hooks and the unique IDs for the elements in order to make the app more testable. This strategic approach would be a reason for a successful mobile app test automation. Apart from this, there should also be a concentration on the different testing scenarios in order to elude the chances of overlapping before even getting into Appium coding. An open discussion forum with the development teams to discuss the plotting of right accessibility IDs, labels or Unique IDs for the application’s elements would reduce many test automation reliability concerns. One of the challenge faced in Mobile Test Automation is not setting up the application. Most of the developers do not set up the application in order to access specific views and user states rapidly. To quote an example given by Jonathan Lipps,one of the key contributors to the Appium project. A shopping cart functionality of the app might have ten different tests, and ninety percent of the tests might go through the same steps of logging in and searching items to be put in the cart which is a huge waste of time. So, your team should be able to set up an app’s state and start the test in that apposite state, straightaway. This is highlighted in Appium scenario due to the fact that the mobile simulators and emulators are slow and take longer than usual to reach to the right position on the test. Not querying for the visibility of every element is another way to speed up the run-time of the Appium test scripts. This leads to an additional load of calls and waiting time for Appium while in the every activity of retrieving an element. The lag can be reduced by only requesting the element attributes which are important in perspective of the test code. 6. Native Testing tools – Always better? 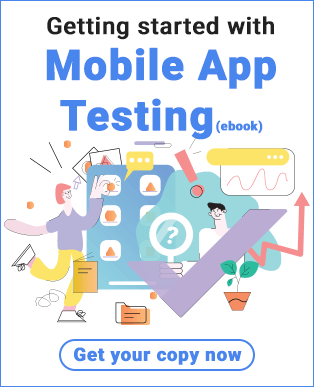 According to some developers, usage of the native testing tools is the best way to get unfailing mobile tests. For example- Espresso in case of Android and XCUITest in case of iOS. This is not a good advice as neither of Google or Apple are going to release and new automation technology. When the question is of stability, the stability of code should be chosen rather than technology and in this scenario, Appium is the best choice! As an exception, if the development team writes the tests and it’s most comfortable in mobile SDK language, using Google and Apple providers to build development environments. Also, when the constricted test-app or test code-app code integration is needed, then Appium might not be of much help. The utmost value is that Appium provides the WebDriver layer on top of the technology, which means the code can be written in any language and acts as a stable interface to that specific automation technology. Also, being a cross-platform tool, Appium allows to saves a lot of code and architecture in case of testing both iOS and Android devices. Appium might be slower in some circumstances and also there are points in Appium codes where it does not seem efficient. Appium backs upon technologies that are slower than Appium and the curators of Appium have strategically chosen to utilize slower strategies for specific instances. For eg: Appium will certainly be slower if you are relying on XPath. The efficiency of the tool depends on how it is being used. Mostly, Appium is favored because of stability than the speed. The earlier Appium docs were not very user friendly. As a result, they weren’t used as much as they needed to be but the new Appium documents have been completely redesigned and reorganized. Information about the API reference to Appium, client libraries, supported drivers and Appium commands, code examples which was not provided before is all documented in the updated version. It deserves a revisit due to its newness and can be accessed at Appium.io.